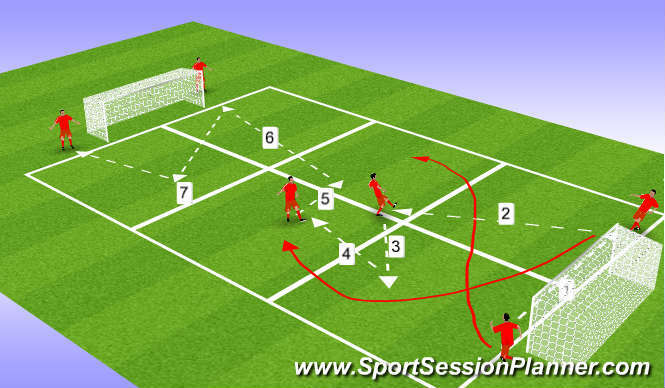 Lads must pass sideways on 1st pass, then around the corner into striker. All can combine to the top. Encourage switches and speed with quality.